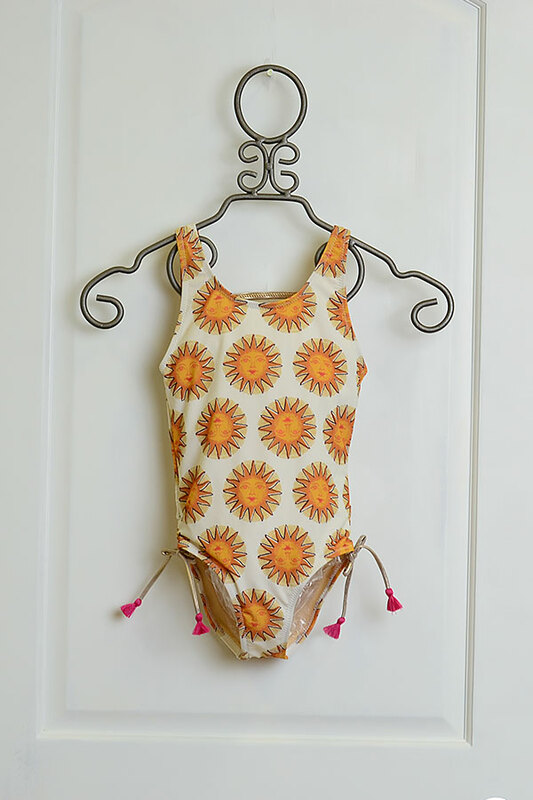 $64 - A stand out swimsuit that she will love showing off, this new design has just arrived from designer Pink Chicken. The ivory design is a one piece with a rounded V neckline. A drawstring is found cinching the sides and is completed with a golden bow. The large print features golden sun medallions. The suit features a neckline that falls further on the back and is striped with metallic straps. To complete her look, pair with the Pink Chick Swim Cover Up Pink Icing, a look that is ready to accent the shimmering details.